Holiday’s season is all about festivity and gatherings. And when it comes to meeting your friends, family members and colleagues, you know that you must buy presents for them. It’s almost become a tradition that brands cut down their prices and give their customers huge chances to treat their loved ones with gifts and tokens of love. And we know that you’re worried about the shipping issues. So this year around, don’t miss out on any deals, enjoy shopping and let Ship2You take care of the rest. Why you should choose Ship2You this year’s end (and the rest of the year too)? Our ultimate goal is to transfer the control to our consumers. These are some of the best upcoming sale events of 2016. Singles Day is celebrated by all the single youngsters in China as they are proud of the fact that they are single. This day is considered to be the world’s largest and busiest online shopping day of the year. Keep checking different online shopping websites to stay updated about discounts etc. Online shoppers should expect upto 50% to 70% discounts on almost all kinds of products like; shoes, apparels, cosmetics etc. from Chinese as well as other international retailers. But you should all keep this in mind that the discounts come for only one day and you gotta act fast to have the best out of this sale. Originally, Thanksgiving Day was celebrated to be thankful for the blessing of the harvest and of the preceding year. People treat their friends and family members by cooking amazing dinners and gift them a variety of stuff. Since Thanksgiving Day is one day before the Black Friday, a number of brands including the luxury brands open up their stores by cutting down the prices to almost half or even more. Small Business Saturday is celebrated after Thanksgiving Day. This is the busiest shopping period of the year. But Small Business Saturday is celebrated to support the local economy of the countries and to promote the local brands. Keep an eye on the local brands of your country because they offer discounts for their consumers on various products. This day’s sales last for a day only so you have to be a little too fast in grabbing most of the deals. Following Thanksgiving Day, Black Friday is regarded as the beginning of the Christmas Shopping Season. Majority of the retailers opens up their stores early and offer a number of promotional sales. Those brands that don’t offer sales at all also participate in this sale saga and the day is marked with the lowest of prices online. Get to know more about Black Friday sales. Black Friday sales can be very beneficial to everyone who wants to buy laptops, tablets, refrigerators, TVs etc. as on this day; electronics are available at very low prices. Brands offer different deal offers as well which should be availed before it’s too late! Cyber Monday sales were ‘created’ after observing that the Monday after Thanksgiving Day is the busiest online shopping day. Unlike Black Friday. all the sales take place online though. The deals are available for 24 hours only which means the online shoppers should shop within time. Those who shop online also know how online retailers work. And since, Cyber Monday sale is for one day only, shoppers have to be real quick to get the best deals before anyone else in the world. Online shoppers should always expect mage discounts on Cyber Mondays. Green Monday was originally coined by eBay. This day is the last minute opportunity for all those people who could not make it to the other amazing sale days. Green Day is now considered to be the third busiest online shopping day of the year. A lot of brands do not participate in Green Day’s sales but some of the apparel, toys and accessories brands do lower down their prices for the consumers. Good news for those online shoppers who are thinking to buy electronics because Green Day sales do offer a lot in this category. Free Shipping Day is famous among all those late shoppers who want to have the things delivered on the Christmas Eve, that too for free. Shipping companies guarantee the deliveries so a number of consumers spend more on Free Shipping Day sales. All those big brands who can afford to ship the products to their consumers free of cost participate in Free Shipping Day sales and attract a lot of people towards their online and physical stores. Frequently check the websites of your favorite brands to have your favorite stuff with no shipping costs. A number of retailers bid farewell to their products by offering amazing sales on the New Year’s Eve. The prices are cut down so much that you won’t want to wait for another year to shop like that. In addition to the stuff you really need to have, you would also want to take a trip to winter shopping. This is the best time to order ankle or long boots, scarves, mufflers and coats. We are sure you would not want to spend your Turkey / Thanksgiving Day or holiday season fighting over your favorite items in stores, for this very purpose, we can assure you that you can have the best shopping experience with us. Go to our website today to make an account and buy the presents for your loved ones. We guarantee you that we will take care of the rest. Also, you can save a lot on shipping if you choose Ship2You. All you have to do is to go sign up on our website to have yourself qualified speedy shipping and get the items in warehouse from multiple stores. And know that we’ve got you covered with very low shipping costs. Consolidate, repack them and ship at once to save on shipping costs. 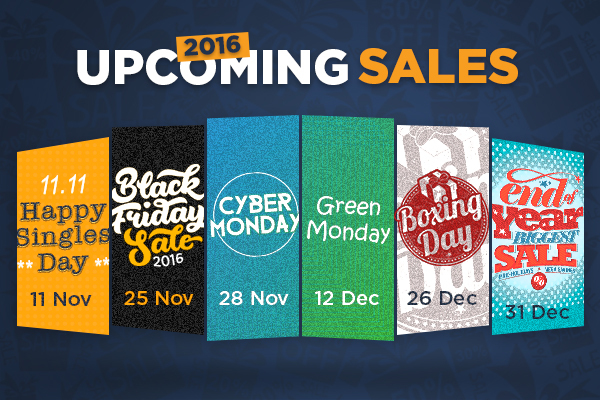 So don’t miss these amazing sale events, register now on ship2you and get your favorite items at your doorstep in just 3 days. Happy shopping! I love these arecslti. How many words can a wordsmith smith?